Players, as a rule of thumb, generally want time on the pitch and that means that many are willing to adapt their game to fit in with the needs of the team. Look no further than Ryan Giggs’ reinvention as a central midfielder now his geriatric legs won’t spirit him down the left wing anymore. Andy Liddell made a move in the opposite direction, moving from central striker, and Wigan’s all time top goal-scorer, to become a dangerous League One winger, capable of regular deliveries into dangerous areas. When pressed players are willing to move into other spots outside of their comfort zone. There is increasingly, however, a lack of space in the modern football squad for the designated utility man. There are one or two still plying their trade in the Premier League, James Perch and Phil Neville will play across the pitch for their teams. John O’ Shea will play wherever he’s asked and across the European chasm, although it seems a crime to call him a utility man, Javier Zanetti will play wherever Inter need him. But there’s no utility player with the quality and esteem of a Luis Enrique, capable of playing anywhere for Real Madrid, Barcelona or Spain. Utility players are a dying breed. It is often said that someone like Wayne Rooney would be the best player wherever he played on the pitch but there’s a reason he doesn’t play at left back even if his alternative is Alexander Büttner. As noted in Greg Johnson’s fine article the big reason in the modern game, it seems, for playing someone in a position unfamiliar to themselves is to increase their understanding of the game; a kind of introduction to Total Football. Take note, for example, of Wayne Rooney, Phil Jones or Thierry Henry. Rooney was played on the left side of midfield to increase his awareness of team needs. While it removed some of his explosive genius it made his all round team game exceptional, he became a consistent creative force. Henry began his career as a winger, perfecting delivering the ball into a dangerous area and that trademark curled side foot finish has all the hallmarks of a player used to cutting inside and having an angle to work with. Phil Jones is being groomed for a future at the heart of central defence for England and Manchester United by being subjected to playing a little further forward on the right hand side of midfield or as a screening anchorman. Not only will this increase his powers of distribution and confidence on the ball but it will make him a handy alternative at right back in emergencies. Modern football, with its emphasis on tactical perfection and a rigorous game-plan requires position specialists. Gone are the days when you could ask a player to fill in across defence and midfield, unless you stumble upon a bizarre, one off miracle such as Jose Bosingwa’s performance at centre back in the 2011/12 Champions League semi final. 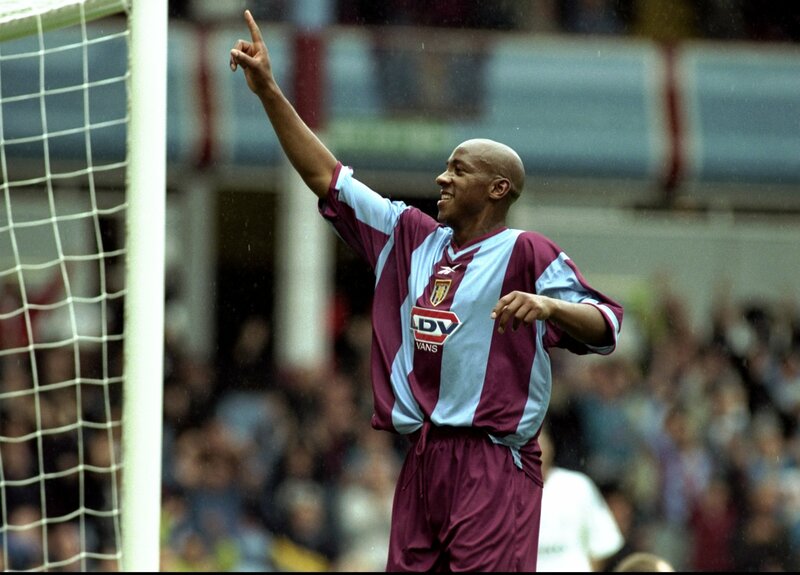 You won’t find a player in the modern game that plays as striker and defender as Dion Dublin and Paul Warhurst did. Experience tells us that in today’s game, because of the fitness levels involved, the tactical rigours and the amount of games played that you must have two specialist players for every position, you cannot afford a sub-par utility man. Even the players who are ‘utility’ men like Giggs are rarely played in their unfavoured positions in games of significant magnitude. It is not the case however that the game has changed to develop players who can only play in one position either. Take the story over at Aston Villa for example; three players in Shay Given, Richard Dunne and Darren Bent, who are all examples of how you can become too specialist to be of any real use to the modern pressing game. Shay Given is a tremendous shot stopper but his all round game is lacking; he lets too many of the long range efforts that are ‘unsaveable’ happen in the first place because of poor organisation of his defence. Richard Dunne is one of the best last ditch tacklers you’ll ever see, but that is the LAST thing you want in central defence, it ends up shaving around 5-10 years off your life seeing your chief centre back sliding 3 feet to block a shot every Saturday. As for Darren Bent; he is so peripheral to build up play and so useless out of the box that he is a fine example of the dying ‘fox-in-the-box’ tradition (see Ruud Van Nistelrooy, Michael Owen, Francis Jeffers). There is still a place in the game for these specialists, but it is becoming less and less common to see them and in 5-10 years they may well not be around at all. Arguably we are losing the term ‘utility man’ because all of our players must be utility men now. Strikers are regularly praised for tracking back and goalkeepers are praised for their distribution. 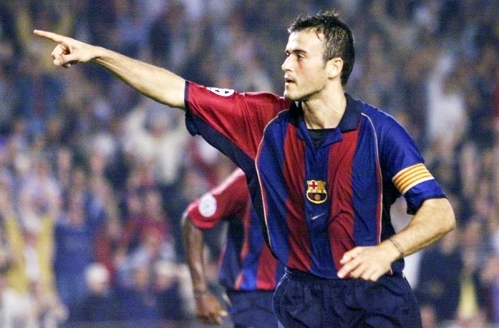 We may never see another Luis Enrique effortlessly switching between striker and defender but we have a modern ideal of footballers comfortable across the pitch. The death of the utility man has moved the game a step closer to the normalisation of Total Football. This entry was posted in Tactics and tagged andy liddell, aston villa, barcelona, bolton, darren bent, dion dublin, football, james perch, javier zanetti, john o'shea, luis enrique, man united, oldham, paul warhurst, phil jones, phil neville, richard dunne, ryan giggs, shay given, thierry henry, utility man, wayne rooney by David Wild. Bookmark the permalink. Superb article. I like sportz.